There are many people who have carpets and they opt to clean them on their own. While this may save money at the immediate time, there are some serious disadvantages to doing it yourself. Here are several reasons it would be in your best interest to get a professional cleaning. Professional grade vacuums have much more suction power than those available to the average consumer. When you hire a professional, they bring along vacuums that have the ability to remove things that are deeply embedded in the carpet, which means that anyone with allergies will have less to worry about. One thing you should know is that professional-grade cleaning products are much better than those you can buy at the store. Even if you find something that is labeled “Professional,” this does not mean that it has the same cleaning power. In some cases it is a gimmick to sway you to buy something that isn’t any better than other products on the market. When you try deep cleaning your carpets yourself, it is easy to believe things are all dry when they are not. Moist, wet places are a breeding ground for mold, which can put your health in jeopardy. 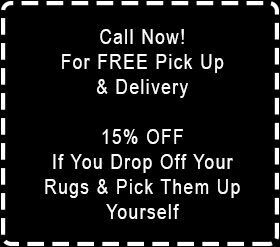 Professional carpet cleaners have the skills and experience needed to make sure your rug is clean and perfectly dry. Every carpet does not require the same type of cleaning. If you are not using the right method, there is a chance that you can damage your carpet. Instead of taking a gamble and hoping for the best, it would be a good idea to call in a professional to get the job done. Instead of sitting around thinking of reasons you should hire a professional to clean your carpet, it is time for you to make some calls. Hiring a carpet cleaning company is clearly in your best interest.